Brighton wingers Alireza Jahanbakhsh and Jose Izquierdo will both miss the Seagulls' Premier League match at Bournemouth on Saturday. Jahanbakhsh has missed six games with a hamstring injury and Izquierdo has been out for two matches with a knee problem. In his pre-match press conference, Albion boss Chris Hughton said: "Jose Izquierdo will still not be available and neither will Alireza, who at this moment is very close. "We're probably still at the stage that whatever period of time we have got Alireza for before he goes away for the Asian Cup, we will do everything right. "But he is very close." 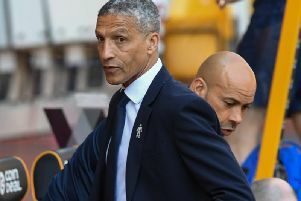 Brighton & Hove Albion v Newcastle: What did Chris Hughton say in his pre-match press conference?